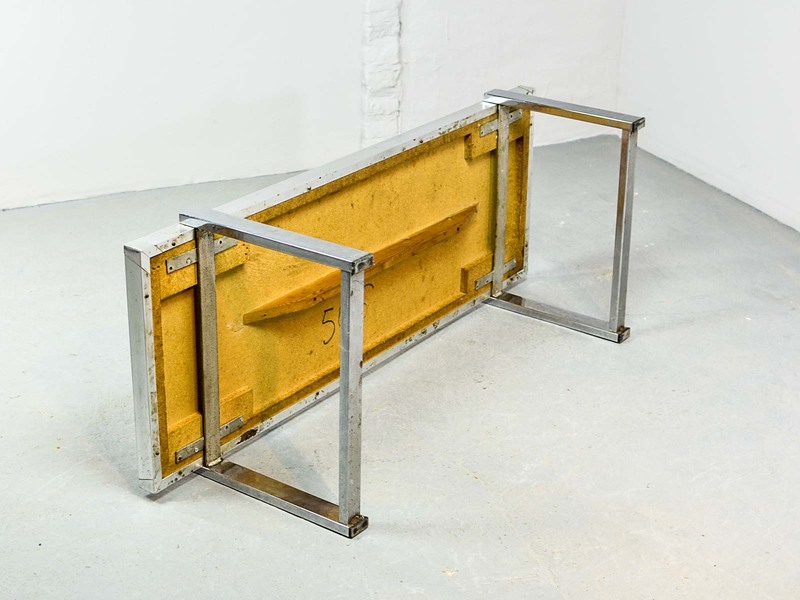 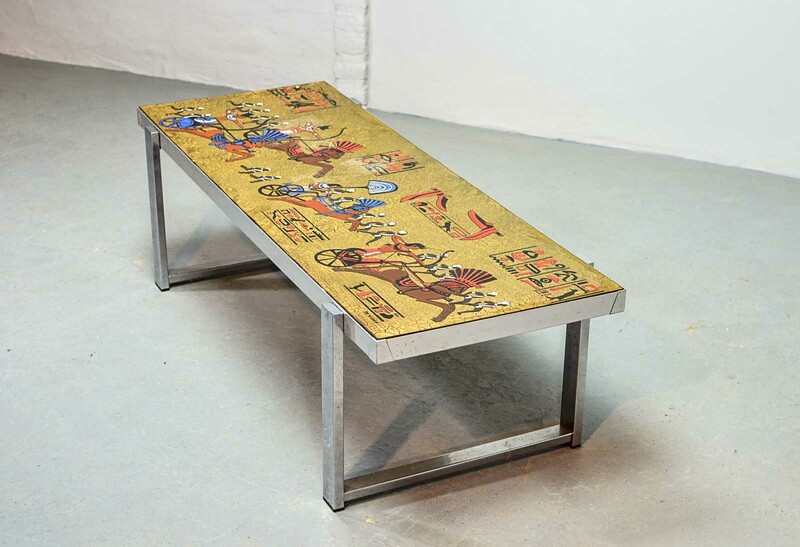 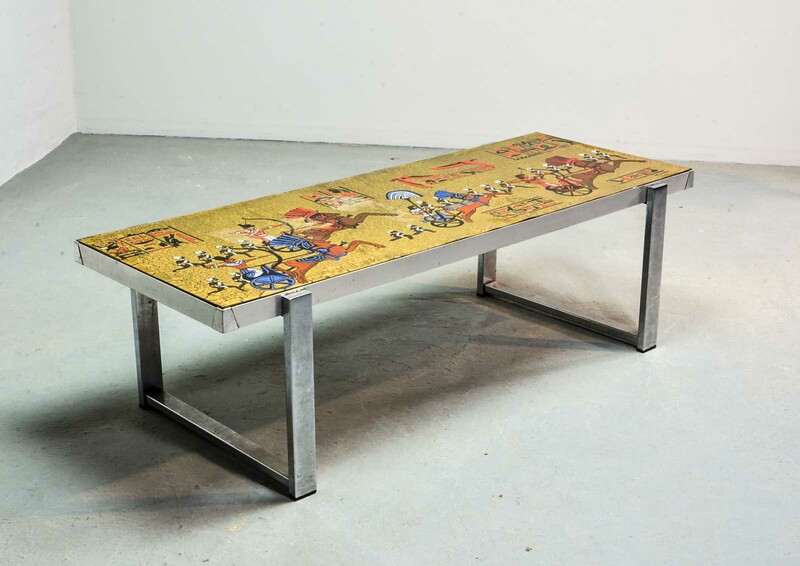 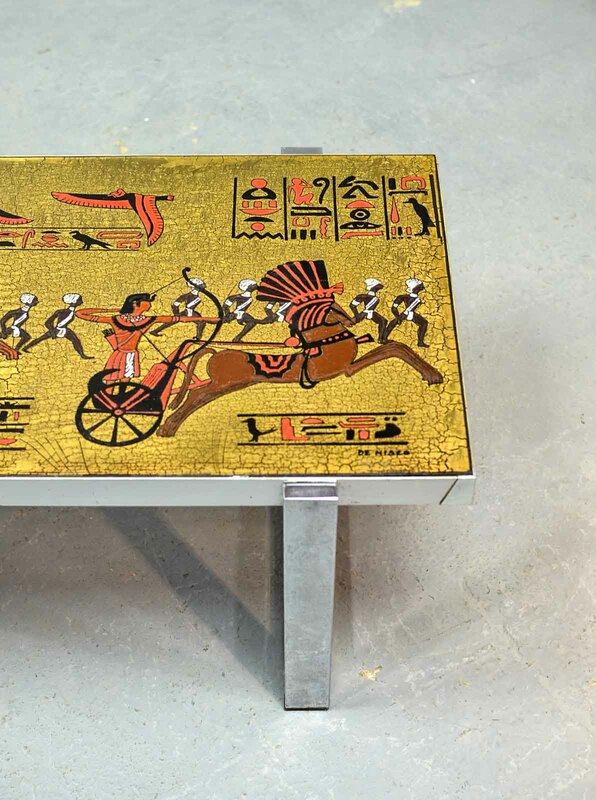 Fine midcentury Egyptian decorated coffee table designed by De Nisco and manufactured in the 1970s. 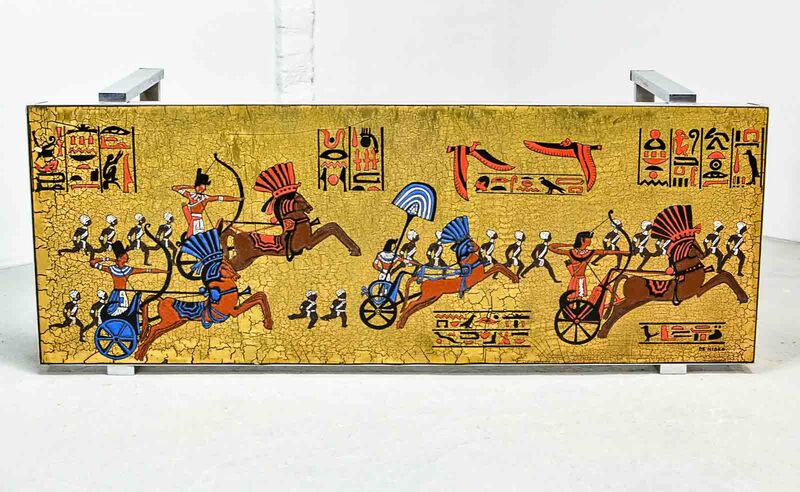 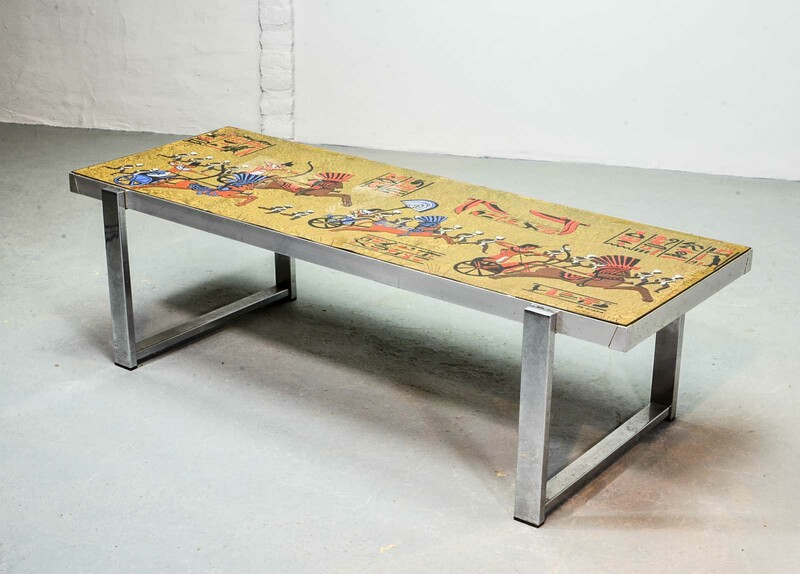 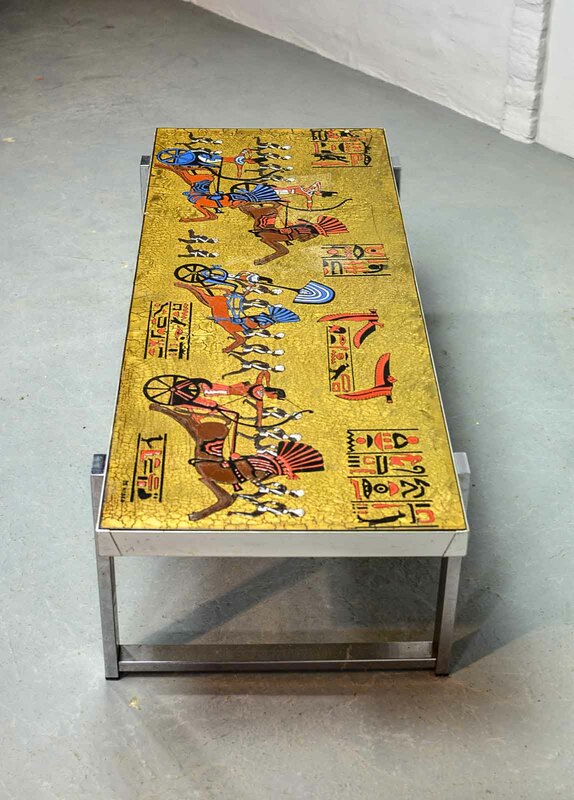 The table features a chrome steel base with a very decorative hand-painted top representing a detailed Egyptian setting executed in gold and bright colors. 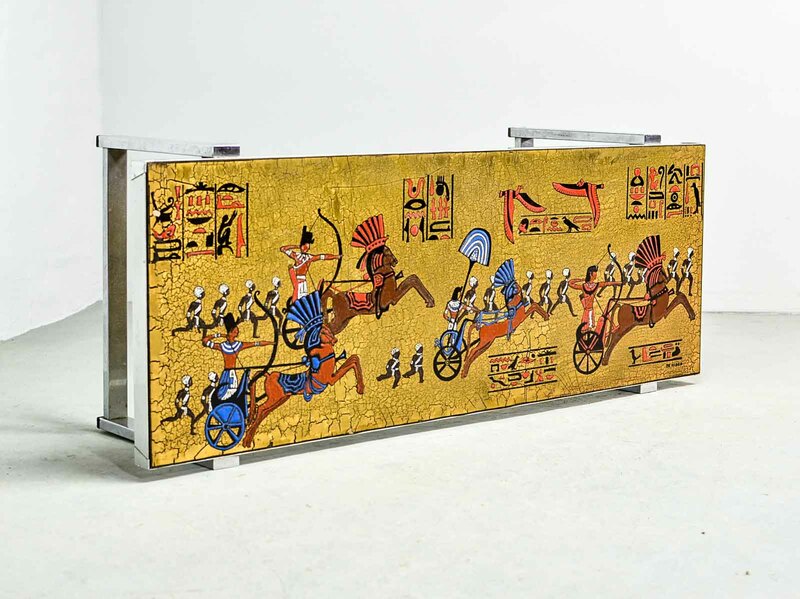 This signed very well preserved item is in a great condition.